Prunes are a nutrient rich, natural dried fruit now backed by research showing they can aide in reducing bone loss and in-fact preserve bone density in post-menopausal women. Prunes can assist in keeping ones family regular with their natural fibre content which is also great for generating healthy gut bacteria. Now prunes have been found to reverse the effects of bone loss and promote bone formation in post-menopausal women. 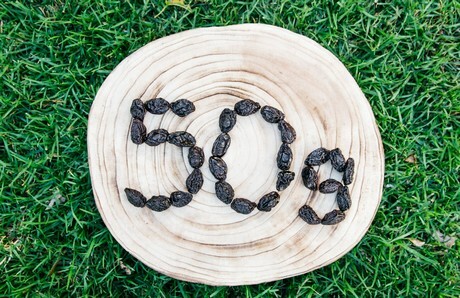 Clinical trials have studied the impact of post-menopausal women eating 50-100g of prunes a day for 6-12months. Post-menopause is a time when women are prone to accelerated bone loss and osteoporosis. One particular study from 2016 found when 48 osteopenic women aged 65-79 years ate either 50g or 100g (6-12) prunes a day for 6 months there were interesting changes to their bones occurred. • biomarkers of bone resorption were decreased indicating prunes can inhibit bone breakdown. “Just 6 prunes (less than 100 calories) a day as a snack or a versatile ingredient in meals is enough to boost bone building nutrients and positively impact bone health, and most people found there’s no abnormal effects on bowels from eating prunes every day either,” Mr Delves said. Prune research has expanded into other health areas too. Research7,8 has also shown that prunes contain nutrients that have a positive impact on satiety, where if you eat prunes prior to lunch you feel fuller for longer and eat less later on. Effects on appetite may help with weight management. Regular prune consumption is also good for heart health with 6-12 prunes a day reducing total and LDL cholesterol. “Prunes are a delicious, natural, plant food that are not only good for those who are looking to increase bone density but are a great addition to anyone’s diet including pregnant mums and babies commencing solids, toddlers, school children and vegetarians and vegans.” Ms Yates said. Prunes and dairy make the perfect partners in bone health so why not try mixing chopped or pureed prunes in yoghurt for a simple and delicious bone boosting snack. 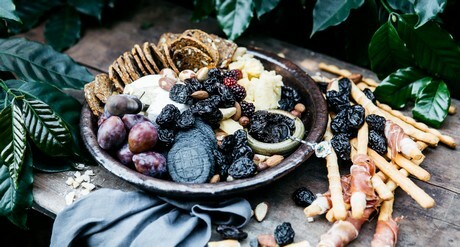 There is also a wide selection of tasty, modern recipes on APIA’s website www.ausprunes.org.au as well as more information on research into prunes and benefits of adding them to your diet. APIA is the peak industry body for Australian prune growers and prune processors. Most prune growers are located in the Griffith and Young regions of NSW.